I was wondering how you know to choose a life in horses? I’ve always loved working with and being around horses. But whenever I talk to my parents about doing it as a career, my mom and I always fight over it. What can I do? How can I see if this something I should pursue? I was lucky enough to grow up in Geneseo, NY, a small town where the Genessee Valley Hunt was a very large part of the community. As a result I was exposed to horses and riding right from the start. My sister started riding first, with me following a few years later. I was eight years old when I began riding. Even before I actually started riding myself I had been bitten by the horse bug and knew right from the start that I would have a life with horses. Although I had no question that I would have a career with horses, my parents were not very excited about my choice. My father was a lawyer and my mother a house wife. They wanted for me a secure and safe profession and had reservations about the horse business giving me this. We talked about this throughout my high school years and ultimately decided that I had to go to college for at least one semester to see if that changed my mind. Once that deal had been made, I changed my high school schedule to complete my senior year in one semester and made arrangements to go away to college for my one semester the following spring. When I completed this requirement of my parents we sat down, had a reasonable discussion and I went out in the world to become a professional horseman. I am very grateful to my parents for first pushing as hard as they felt they could for me not to become a professional horseman, and then secondly for allowing me to follow my heart once they felt they had pushed enough. In hind sight, I would not have changed anything. Choosing horses for my career has taken me places I would never otherwise been able to go, and to meet people that I would never have been able to meet. I am very thankful to have chosen this life, and thank my parents always for helping me to make this choice. It has been a difficult road, but a very rewarding life and I recommend it to anyone that is willing to apply themselves one thousand percent. What an exciting and thoughtful question. Figuring out a career path that will bring you joy and satisfaction is a life-long pursuit — kudos for facing it head-on and asking for support! There is a classic quote by Confucius that says, “Choose a job you love, and you will never have to work a day in your life.” While the sentiment is wonderful, I think it’s a bit more realistic that there will be times when it does feel like work, but it will be work you truly, whole-heartedly enjoy. Though it may take creativity and persistence to figure out if you can earn a living while doing this, it is the best gift you can give yourself. My belief is that awareness and self-knowledge are the first keys to success. Ask yourself questions like: “What exactly do I enjoy doing with horses? Training? Caring for them? Competing? Teaching young ones?” “Do I truly believe in my talent and potential skills with horses?” “What do I love about horses?” “What type of career is my dream career?” “Am I prepared to go after opportunities to learn and grow even though they might not be exactly what I want to do long-term?” Sitting yourself down to honestly answer these and many other questions is valuable to do before involving anyone else in the discussion. They will provide you with a foundation from which to talk to family and make solid choices about your career path, education and direction. Experience is another way to build self-knowledge and awareness. Your ingenuity will help you discover and/or create opportunities to work with horses so that you can discover what you enjoy, and what you are good at. Being a working student, volunteering at competitions, shadowing a trainer, getting a part-time job at a barn, auditing or riding in clinics — anything you can dream up to experience working with horses will be valuable. There are also so many terrific collegiate equine programs in this country that it’s possible to give your career dreams a solid academic base (hint: this can also be very attractive to parents). 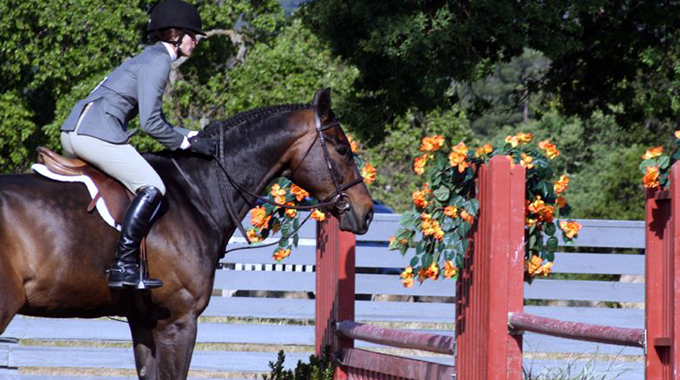 Take it upon yourself to be educated about what is available not only for riding in college on an IHSA or NCEA team, but also in degrees that are offered in equine studies. Good luck and enjoy the journey! Please know that by asking the question you are already so much closer to the answer. I trust that you will make great decisions as you uncover more about yourself and the possibilities. I feel strongly that you need to follow your passion in life and you will be successful and happy. There are many different careers available in this industry, including but not limited to: training, teaching, judging, course design, marketing, photography, show management, sports psychology, fitness and nutrition, as well as vet medicine, massage, and farrier work to name a few! I would recommend spending some hands-on time in the field of your choice, as an intern, working student or volunteer. This way you have a chance to really appreciate what is involved from the inside out. Maplewood Stables in Reno, NV. is one example that offers a two-year internship program, designed to allow young developing professionals to test the waters in many different areas of the horse business. For more information go to mwstables.com. Well, first and foremost riding horses isn’t something you can be 50% involved in. It is something you have to dedicate hours to every day! I think if you want to pursue a career in equestrian riding and competing you have to be completely aware of what you are getting into. The extensive labor, physical activity and training every time you ride can sometimes be to much for some people. On top of labor there is the financial part of it, this is most likely the thing concerning, or the thing going to concern, your mother. That said, I think it’s important you try and chase the life you want. 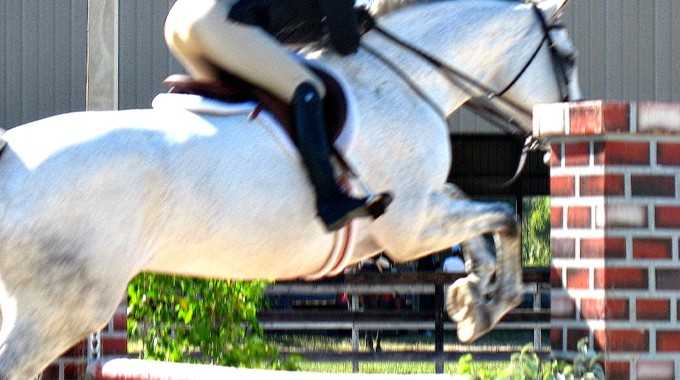 I know that, personally, riding is something that at this point in my life I couldn’t live without. It’s what keeps me sane and I’m sure no matter what you end up pursuing you will find the right path. For now, I think it’s important you express how much you would like to try riding to your mother, and don’t get discouraged if she doesn’t give you the answer you want right away. Bernie answers member Kate's question on how to help her horse who gets strong and fresh when she schools him over jumps. 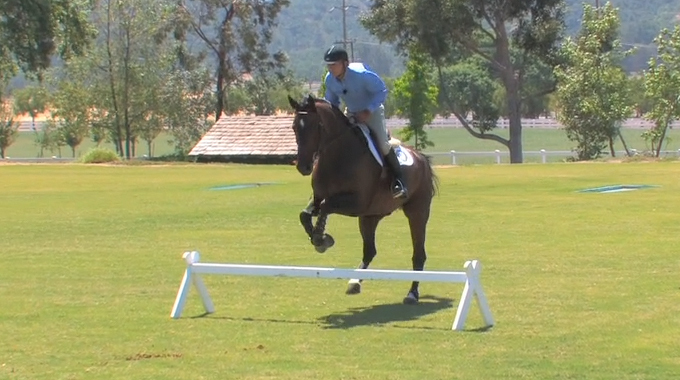 Geoff Teall gives a member exercises and tips on how to break the habit of throwing her leg forward in the air over the jump.